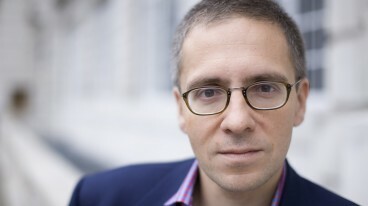 Specializing in US foreign policy, states in transition, and global political risk, Ian Bremmer is one of the world’s leading global political risk researchers and consultants. Renowned for merging the study of political science with current financial markets and trends, he provides financial, corporate, and government clients with information and insight on how political developments move markets. Dubbed the “rising guru” in the field of political risk by The Economist, Bremmer teaches classes on the discipline as Global Research Professor at New York University and is the president and founder of Eurasia Group, the leading global political risk research and consulting firm. He is also the foreign affairs columnist and editor-at-large for Time magazine. Ian is credited with bringing the craft of political risk to financial markets—he created Wall Street’s first global political risk index (GPRI)—and for establishing political risk as an academic discipline. His definition of emerging markets—“those countries where politics matters at least as much as economics for market outcomes”—has become an industry standard. “G-Zero,” his term for a global power vacuum in which no country is willing and able to set the international agenda, is widely accepted by policymakers and thought leaders. In 2007, Ian was named a Young Global Leader of the World Economic Forum, where he is the founding chairman of the Global Agenda Council on Geopolitical Risk. He is the Harold J. Newman Distinguished Fellow in Geopolitics at the Asia Society Policy Institute and serves on the President’s Council of the Near East Foundation, the Leadership Council for Concordia, and the Board of Trustees of Intelligence Squared. Ian earned a master’s degree and a doctorate in political science from Stanford University, where he went on to become the youngest-ever national fellow at the Hoover Institution. He received his bachelor’s degree in international relations from Tulane University. Ian has published nine books including the national bestsellers, Every Nation for Itself: Winners and Losers in a G-Zero World; The End of the Free Market: Who Wins the War Between States and Corporations? ; and his latest bestseller, Superpower: Three Choices for America’s Role in the World. At a time when so many challenges transcend borders, the need for international leadership has never been greater. Leaders have the leverage to coordinate multinational responses to transnational problems and the wealth and power to persuade other governments to take actions they wouldn’t otherwise take. They pick up the checks that others can’t afford and provide services no one else will pay for. But in years to come, there will be no global leadership, because there is now no single country or bloc of countries with the political and economic muscle to drive an international agenda. America is struggling to pay its bills, Europe is busy trying to save the eurozone, and emerging powers are wrestling with too many complex challenges at home to accept risks and burdens abroad. A world without leaders will undermine our ability over the next decade to keep the peace in Asia and the Middle East, to grow the global economy, to reverse the impact of climate change, to feed growing populations, and to protect the most basic of all necessities – air, food, and water. Its effects will be felt in every region of the world, even in cyberspace. A generation after communism’s collapse, the future of free market capitalism isn’t what it used to be. Public wealth, public investment, and public ownership have made a stunning comeback. Certain that command economies are doomed to fail but afraid that truly free markets will spin beyond their control, the political leadership in China, Russia, the Arab monarchies of the Persian Gulf and other authoritarian states have invented a new system: state capitalism. Each in their own way, they’re using markets to create wealth that can be directed toward the achievement of political goals. Governments now dominate key domestic economic sectors. The oil companies they own control three-quarters of the world’s crude oil reserves. They use state-owned companies to manipulate entire economic sectors and industries. They own enormous investment funds that have become vitally important sources of capital for Western governments and banks weakened by financial crisis. An expert on the impact of politics on market performance, Ian Bremmer illustrates the rise of state capitalism and details its long-term threat to relations among nations and the future of the global economy. The financial crisis and global recession hastened the transition from a G7 to a G20 world, one in which developing states that don’t share US assumptions about the virtues of free market capitalism now have a seat at the international bargaining table. In fact, a generation after communism’s collapse, public wealth, public investment, and public ownership have made a stunning comeback. Certain that command economies are doomed to fail but afraid that truly free markets will spin beyond their control, the political leadership in China, Russia, the Arab monarchies of the Persian Gulf and other authoritarian states have invented a new system: state capitalism. Each in their own way, they’re using markets to create wealth that can be directed toward the achievement of political goals. Governments now dominate key domestic economic sectors. The oil companies they own control three-quarters of the world’s crude oil reserves. They use state-owned companies to manipulate entire economic sectors and industries. They own enormous investment funds that have become vitally important sources of capital for Western governments and banks weakened by financial crisis. The great 21st century challenge for America’s leaders will be to adapt to changing circumstances in ways that extend that indispensability. To continue to lead in a world where states are overwhelmingly focused on domestic challenges, the United States must find ways to build partnerships with like-minded, willing, and able governments. An expert on the impact of politics on market performance, Ian Bremmer illustrates the rise of state capitalism and details its long-term threat to relations among nations and the future of the global economy. The Next Major Global Risk: Capitalism vs ? The financial crisis and global recession hastened the transition from a G7 to a G20 world, and developing states that don’t share Western assumptions about the virtues of free market capitalism now have a seat at the international bargaining table. In fact, a generation after communism’s collapse, public wealth, public investment, and public ownership have made a stunning comeback. What does this trend toward state-driven capitalism mean for CEOs trying to do business around the globe? The fallout from the still-unfolding global financial crisis provides several perfect examples of “fat tail” risk, those that flow from the low-probability, high-impact events that generate upheaval more often than we think. Bremmer shares with audiences how an understanding of the political dynamics generated by the financial crisis helps us forecast market risks, why politics matter more than ever for market performance, why the world’s wealthiest countries have begun to behave like emerging market states, and what all this means for investors and companies. To navigate globalization’s choppy waters, every business leader analyzes economic risk when considering overseas investments or looking at market exposure. But do you look beyond reassuring data about per-capita income or economic growth – to assess the political risk of doing business in specific countries? If not, you may get blindsided when political forces shape markets in unexpected ways – from European accession in Turkey, social unrest in India, or protectionist legislation on China. Acclaimed political analyst and entrepreneur Ian Bremmer explains that by blending political and economic risk analysis, you make savvier investment decisions – seizing valuable opportunities around the globe while avoiding danger zones. Oil prices are increasingly susceptible to international politics – for both the world’s supply and demand. Ian Bremmer, founder and president of the world’s largest political risk consultancy, shares his views on what’s in store for the politics of global energy – from spiralling Chinese and Indian growth in consumption to the dangers of future oil export from the Middle East, Russia and the Caspian, and West Africa. China bestrides the world as a colossus, and business leaders can’t get enough from the promised riches of Asia. But does unprecedented growth mean that your company will benefit from it? Ian Bremmer, intellectual entrepreneur and President of Eurasia Group, explains the dangers of Asian growth for global investors seeking to build a presence in international markets; for companies seeking to sell their products there; and for the global markets more broadly. America will remain the world’s only superpower for the foreseeable future. But what sort of superpower? What role should America play in the world? What role do you want America to play? In Every Nation for Itself: Winners and Losers in a G-Zero World, Ian Bremmer illustrates a historic shift in the world economy and an unprecedented moment of global uncertainty. The G-Zero, a leaderless world of every nation for itself, will undermine our ability to keep the peace, expand opportunity, and feed growing populations. The resulting upheaval will be felt in every region of the world. The End of the Free Market details the growing phenomenon of state capitalism, a system in which governments drive local economies through ownership of market-dominant companies and large pools of excess capital, using them for political gain. This trend threatens America’s competitive edge and the conduct of free markets everywhere. This guide to the next big global economic trend includes useful insights for investors, business leaders, policymakers, and anyone who wants to understand important emerging changes in international politics and the global economy.